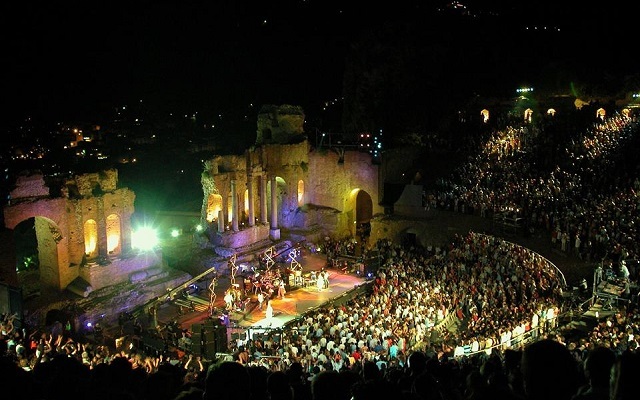 After a great opening of the season, in June, with Il Volo, Placebo and Eddie Vedder, the concerts in Taormina continue with the arrival of great Italian and International artists. The next to perform on the stage of the Ancient Theater of Taormina will be the Kasabian. The British rock band, headed by Sergio Pizzorno and Tom Meighan, will accompany the release of the latest disc Comeback kid, the soundtrack of the video game FIFA 2017, with a long tour starting from Taormina on 19th July. Always in July, on the 23rd, we will find Nek with its “Unici” Tour. Filippo Neviani will perform in Taormina with a concert that presents his greatest hits. Take a look at our Event’s Calendar to see more events in Taormina!